Available in desktop and intra-oral versions. 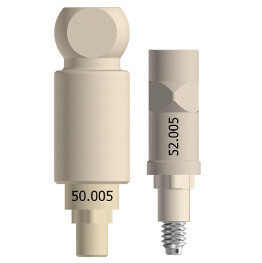 The intra-oral scanabutment has an integrated screw and a design that minimizes scan distortion. Both scanabutments are made from Tecapeek® (Exeption: Ankylos® = Titan), are laser-marked and sand-blasted for better optical properties. The design of these abutments are integrated in the official libraries from Exocad®, 3Shape® and Dental Wings® allowing for AD work on DESS® interfaces in both single and multiple restorations. 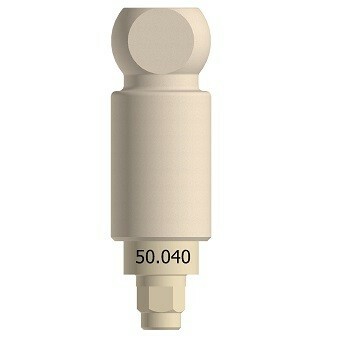 Desktop Scan Abutment comes without a prosthetic screw.